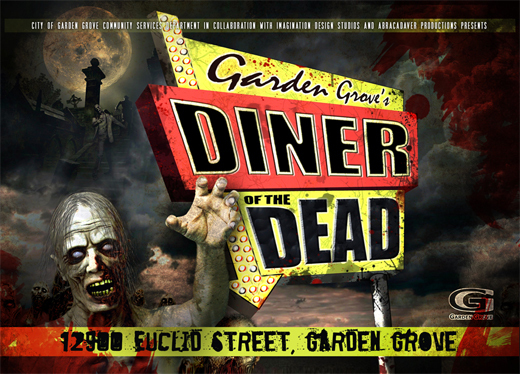 Description: The City of Garden Grove brings the abandoned Black Angus restaurant back to life -or death- this Halloween, by opening “Diner of the Dead,” a heart-pounding, horror-filled maze set inside the vacant, 10,000 square-foot restaurant at 12900 Euclid Street. The maze opens every weekend from October 8 through 31. The horror starts at 7:00 p.m. and goes to midnight on Fridays and Saturdays, and from 7:00 p.m. to 10:00 p.m. on Sundays. The maze will also open on Thursdays, October 21 and 28, and on Wednesday, October 27, from 7:00 p.m. to 10:00 p.m. The midnight closing time is for Fridays and Saturdays only. The haunt is intended for teenage to adult audiences. Admission is $13 per person with photos available for an extra fee. Tickets will be available at the door, or at the Garden Grove City Hall Recreation Counter, 11222 Acacia Parkway, starting Monday, October 4. 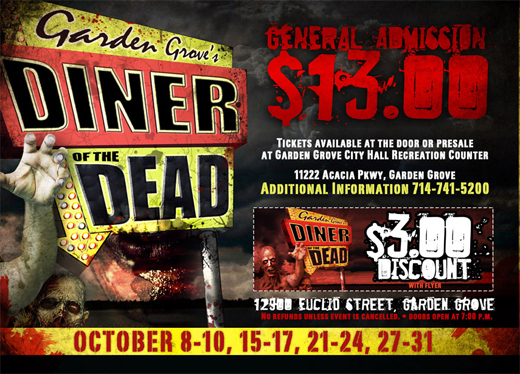 “Diner of the Dead” is a collaboration between Jeff Schiefelbein’s Imagination Design Studios and Abracadaver Productions. 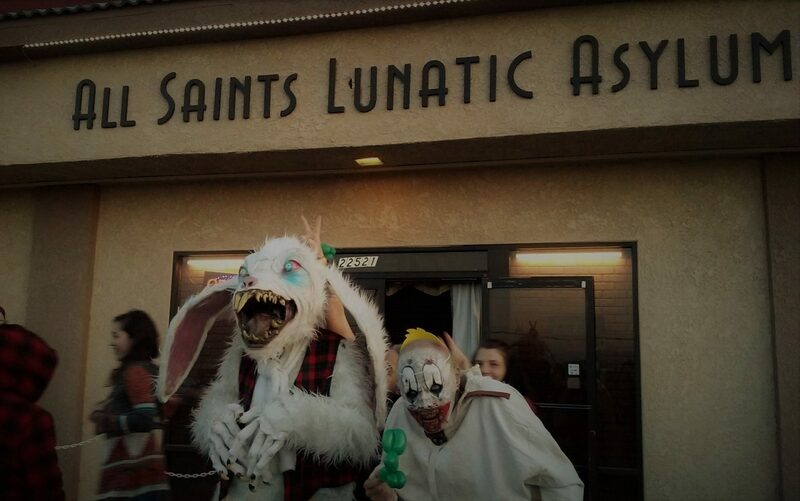 Imagination Design is known for the Silent Hill Haunt at Sinister Pointe in Brea and Abracadaver’s spooky sculptures have appeared in numerous films. For more information, call the City of Garden Grove’s Community Services Department at (714) 741-5200.